Lexan Windshields now available in a convenient 2-Piece unit. This Spring combine our new Summer Cab with our new 2-Piece Windshield and you will experience greater air flow when you remove the bottom of your windshield and roll the back panel of your Summer Cab. 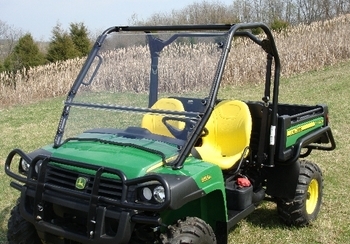 Our 2-Piece Windshields provide excellent visibility and never interupt your field of vision. By using our Quick Connect Clamps, the bottom panel is removed but the clamps stay in place for easy re-installation. 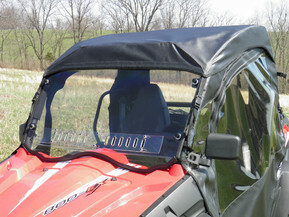 The 2-Piece Windshield is offered at an excellent price point with reduced shipping and handling cost.